Our panel of experts reveal the features of popular contact centre technologies that can help increase agent productivity. A workforce management solution with automated scheduling can help to ensure that your agents are productively occupied. This also applies to ‘quiet’ periods of inbound work volume, where they can be assigned correspondence and other back-office work. E-learning is convenient, self-paced and reduces agents’ time away from dealing with customers, as it can be undertaken during time that otherwise would be unproductive. This can improve agent productivity by reducing call duration and improving First Contact Resolution (FCR). Gamiﬁcation is the application of video game mechanics to workplace activities. Rather than rely on traditional classroom-style training or coaching, more organisations are creating gamiﬁcation quests and contests to engage employees in completing objectives and adding skills — and then recognising their achievements with digital badges. Gamiﬁcation focuses employees on the speciﬁc activities and behaviours that matter to customers. Provide structure to breaks. Make sure you schedule breaks away from the workstations and encourage people to take their lunch, ideally outside combined with a stroll. Also, think how you can improve your annual leave process to make sure your people get the right restoration period away from work. I think some people quite like the fact they are too busy for lunch or holidays, as it gives them a sense of importance. The reality is probably that they may be very active but probably not very productive! It can be too easy to create a culture where people are afraid to take lunch or even use their holidays. Biometric verification can take place when a customer is speaking naturally, delivering a pre-agreed password or by pre-authenticating via a mobile app. Customers can be fully verified before getting through to an agent, which could reduce the time agents spend on a single interaction with a customer. In addition, speech biometrics systems are efficient in identifying fraud, which provides and extra layer of customer protection, making the agent’s work more efficient, less repetitive and more secure. Multichannel customer routing using a single universal routing engine can enable non-phone interactions to be routed based on the same criteria as voice calls. It also enables organisations to monitor, track and report on all types of interactions, giving a more holistic view of the customer journey. The overlay of workforce optimisation on a multichannel queue schedules and distributes all agents across all channels based on real-time demands. Empowering agents to easily rate the quality of an article, while allowing them to quickly feedback ways in which to improve the answer, can help maintain a knowledge base that is constantly being evaluated and improved. Giving front-line agents an easy way to suggest missing content can also enhance a contact centre’s service capabilities by identifying new issues as they occur and filling those knowledge gaps. Taking over from traditional print and laminate resources that many agents are still using, decision trees allow contact centres to create interactive, step-by-step, process maps instead. These guide agents through a series of questions and help them quickly and accurately diagnose and answer difficult queries. Some solutions also give administrators the ability to instantly update content everywhere, deliver expert answers to complex problems and have full confidence that the information they’re accessing is fully up to date. Date-stamped changes and updates also give agents a full audit trail. Knowledge APIs can integrate directly into CRM solutions, providing agent knowledge within a single interface and doing away with the resource-heavy need for multiple-tab research journeys. Such a CRM integration allows agents to use real-time CRM data, including customer profiles, product information and specific case fields, and pull the latest answers from the knowledge base. This could mean that service interruptions in a customer’s geographic area could be highlighted, lists of the most relevant issues based on IVR choice could be presented, or troubleshooting processes could be automatically started based on CRM field selections. A workforce management employee portal can enable an employee to take control of their work patterns and manage their own absence requests – from home or within the organisation through a web-based, device-independent portal. Best-practice portals include self-scheduling capabilities, such as preference and availability scheduling. An engaged employee who can proactively manage their work/life balance will tend to be more productive. Detailed quality monitoring reports which break down results by evaluation scoring sections and questions can allow managers to review specific areas. From these results, agents can receive targeted coaching and development on specific areas, improving quality and productivity. Analysing what makes highly productive agents successful also means their knowledge and techniques can be transferred to the rest of the staff that might be struggling. Custom call outcomes can also help improve productivity, as the disposition code at the end of a call triggers an action or automatically kicks off the next part of a workflow. For example, if they have booked an appointment, the system will automatically send the diary request or a relevant follow-up email confirming all of the details. A contact flow editor with a drag-and-drop system can allow contact centre managers to tailor their own service with minimal reliance on IT. 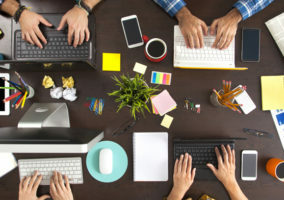 They can map out the best possible customer journey based on real-time information from connectors into the CRM or database, and then deploy it. By using intelligent routing and CRM integration, it can streamline processes for agents, pulling relevant data into the system and saving time. It can also pre-populate a lot of information that agents would otherwise have to input manually. Automated persona-based performance portals can provide agents, supervisors and contact centre managers with direct access to continuous feedback driven by speech analytics. When agents, supervisors and executives receive a daily snapshot of team performance and trends, agents receive the feedback exactly when they need it and are able to prepare better for the next call. The use of contextual language patterning to track and analyse script elements as they are completed can guide and alert agents based on a variety of business scenarios or changing acoustic sentiment. This can help ensure that agents are saying the right things at the right time with next-best-action guidance – in the form of links to relevant information or advice when certain items of interest occur on the call. There’s no reliance on memory, bits of paper or other physical prompts so agents can simply get on with the task at hand and have good, meaningful customer interactions. Colour-coded feedback can also remind agents to stay calm during highly emotional calls. On average, agents spend 15% of their time looking for data or applicable information (Source: Aberdeen Group). Every mouse click is a distraction, as are side-to-side screen searches. A unified agent desktop can help agents concentrate on the customer, by bringing data into a single view and enabling your agents to have control of any conversation. Also provide graphical and easy to recognise indicators of customer preferences and status (for instance, whether they have a complaint open) so they are easy to see, without the need for drill-down. Manually run and monitored processes often fall victim to the next most important thing. When you automate processes, you provide a clear, consistent route for the end-to-end journey. You can trigger alerts if and when the process falls outside service levels or if the party to whom the work is sent has not responded. Also measure performance and identify bottlenecks so that your processes can be refined and deliver on your continuous improvement goals. Automated customer calling is a focus of much regulation. However, manual dialling is time consuming and subject to error. Organisations that need to call customers to jog their memory about payments or appointments can make productivity savings from automated calling that gets the agent on the phone first. Fully inform your agent with the screen pop of the customer’s data and place your agent in control from the start. Customer service managers need to be in management meetings, on the contact centre floor or running training sessions. Real-time notifications when core KPIs are breached enables them to do those things without needing to constantly check a dashboard. An app can also alert users to changes in SLA and KPIs (such as abandon rate or NPS), so supervisors can take proactive steps to ensure customer service levels aren’t affected. Developing a KPI-based scorecard that reflects core business objectives can play a key role in driving overall contact centre effectiveness, but building the right scorecard depends on how you define agent productivity for your own business. The most effective KPI-based scorecards are those that successfully balance internal productivity goals with external measures such as CSAT scores and Customer Effort. 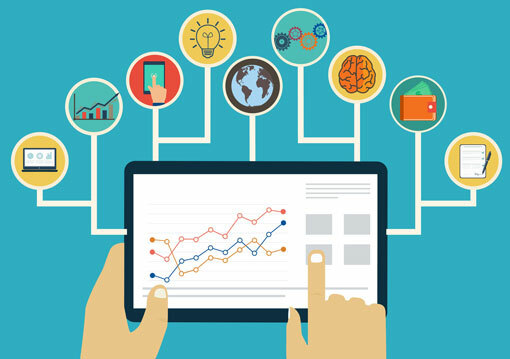 By surfacing information from the data sources such as CRM and sales systems, as well as speech analytics applications, customer engagement KPIs can evolve to address both shorter-term tactical as well as longer-term strategic goals. Intraday task management helps you turn inactive hours into productive ones by filling idle downtime with meaningful training and assignments. It automatically finds the best time to push training and other off-phone work to agents based on the volume of customer traffic. In essence, when call volumes dip, it prompts agents to work on off-phone activities by creating a personalised and prioritised list of assignments based on employee performance or wider business requirements. But if the volume of customer traffic increases, it prompts agents to get back on the phones. Contact centre agents experience a high volume of calls at various levels of complexity. As the number of calls held per day is often the most important KPI for the business, the right support technology needs to be in place. Missed calls, bad call quality and low customer satisfaction can negatively impact productivity and increase contact centre staff absenteeism. Headsets therefore need to offer optimal sound, as well as be comfortable, durable and provide noise cancellation to block out noise coming from colleagues and the surrounding working environment. Features such as built-in HD voice technology can also help contact centre workers have more efficient interactions with customers. 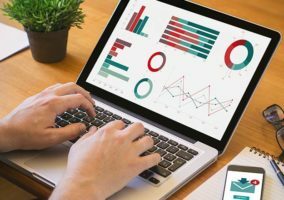 A performance management reporting tool can be used to collect, correlate and display information relevant to each user’s role and responsibilities. This can give supervisors the information they need to understand agent deficiencies and the capability to implement coaching to alleviate these deficiencies. Supervisors can also set performance thresholds which, if exceeded, can automatically notify the agent that specific coaching is required. A web-accessible agent, supervisor, and admin user interface specifically designed for multi-tasking agents can help agents manage all customer interactions as if they were the same, whatever the channel over which the customer chooses to engage. There is no need to switch to a different interface for call handling, emails or webchat, the whole process is more streamlined and efficient, and agent productivity is raised as a result. A real-time speech analytics approach offers businesses the chance to monitor and improve conversations in real time as well as evaluating call recordings. This feedback can guide agents through the kind of language they use and the way they engage with customers. Productivity and compliance can also be improved, as the agent is able to resolve the customer’s enquiries more efficiently, resulting in an increase in First Contact Resolution (FCR). What technology have you introduced to improve agent productivity? It would be great to know what software people are using for point 8, the decision tree. I would love to get rid of the laminates! Contrary to popular myth, there is no statutory regulation of automated dialling. Anyone in the habit of hanging up in silence may be subject to Ofcom’s use of its discretionary powers to determine a case of “persistent misuse of a communications network or service”. This may occur if an organisation uses predictive dialling, without covering the inevitable (albeit minimised) probability of no agent being available to handle an answered call by a suitably apologetic message accepting responsibility for the nuisance that this causes. Anyone using AMD must also accept the inevitability of “false positives” causing Silent Calls. Ofcom used to (foolishly) regard one such Silent Call to each customer per day as a proper use of the telephone, however we have cause to believe that it is starting to take a more sensible view. Anyone using AMD must also accept the inevitability of “false positives” causing Silent Calls. Ofcom used to (foolishly) regard one such Silent Call to each customer as a proper use of the telephone, however we have cause to believe that it is starting to take a more sensible view.